She was very proud of her Tennessean roots. 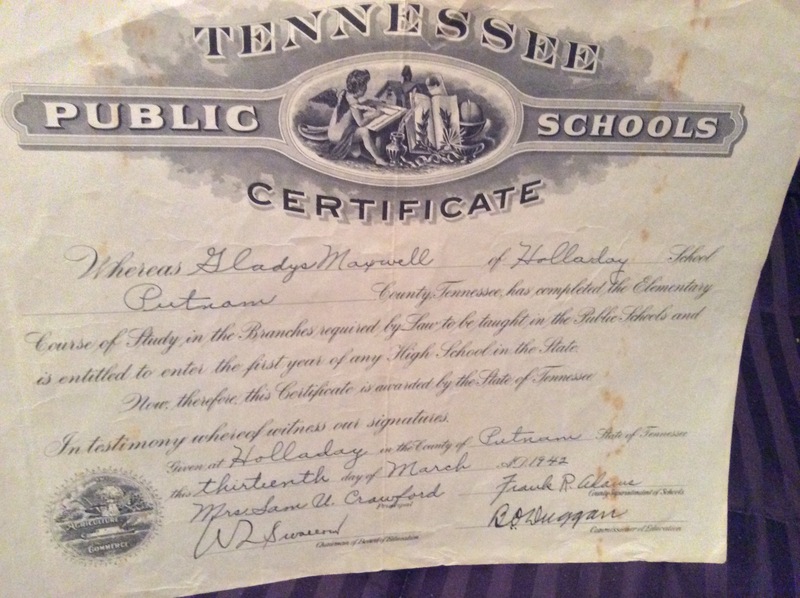 She was very proud of earning her GED as she dropped out of school at age 16 to get married the first time. She worked outside of the home at various jobs until she retired, notably as a waitress where she met my grandfather and in a factory. She liked Pabst Blue Ribbon.